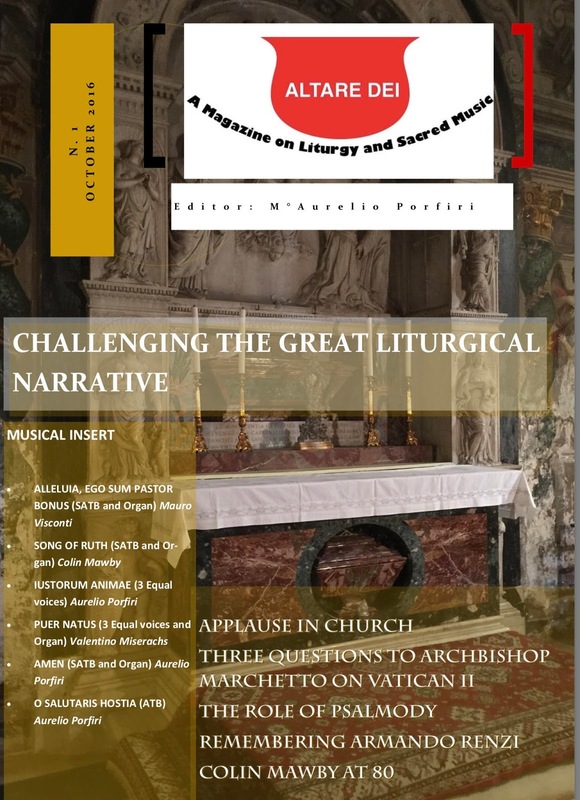 "Altare Dei will present in English featured articles not only by people in the Anglo-Saxon world, but also by European theologians and liturgists whose work will be translated. We hope in this way to promote a wider awareness of the good work that is taking place in different countries and language spheres. Each issue will also feature an insert of sacred music scores. The inaugural issue contains 6 original pieces (12 pages of music) from fine contemporary Church composers. "The cost of the issue is 6 Euros (ca. $7 US). You can download the PDF right away, no shipping fees." 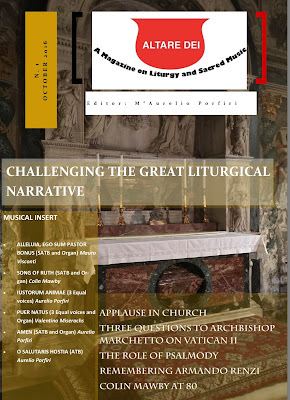 "Challenging the great liturgical narrative"
"Proclaiming the Kingdom of God through Preaching and Sacraments"
"Vatican II and the Reform of the Mass"
"The Role of Psalmody in Catholic Worship"
"Catholic Painting as 'Living Writing'"